Rain has already stopped play at Sudbrook Park, home of the Stage Golfing Society on the borders of Richmond Park. But the weather does little to dampen the spirits of veteran member Tom Courtenay, who regales a captive audience, yours truly included, with his larks on the links. 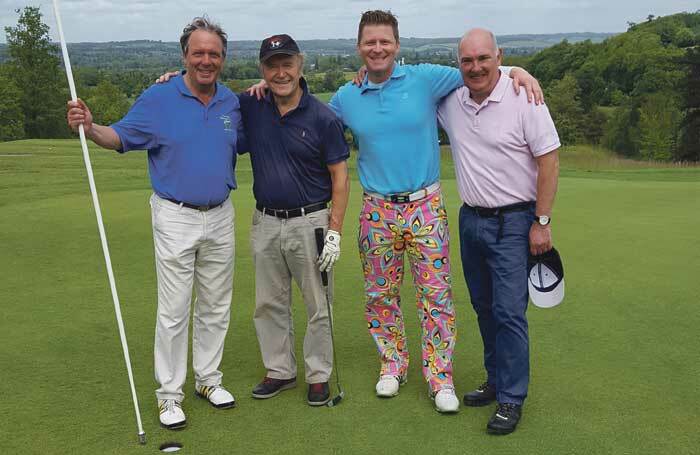 Clearly the Stage Golfing Society requires of its members a level of amusing anecdotage to match, or preferably exceed, any accomplishment on the course. Also in attendance is Dean Chisnall, who played the title role in the West End musical Shrek, and at 33 is one of the society’s younger members. “I joined when I was in my 20s and it was wonderful to just sit around in the bar with some of the older actors who’d worked in rep, listening to their stories,” he says. John Peters, secretary for the past five years, agrees that a visit to the clubhouse in the palatial Sudbrook House can always be relied upon to yield a selection of ripping theatrical yarns. Actors as a breed are nothing if not seasoned storytellers. The society has 350 members, both men and women, from many different sectors of the entertainment industry – as well as actors you’ll find directors, producers, writers, dancers, musicians, presenters… Basically anyone who is “creatively involved in showbusiness”. Sudbrook Park is actually the home of Richmond Golf Club, to which the SGS is closely affiliated, and the arrangement is that SGS members, whose annual subscription is a very reasonable £195, play weekdays after 10am on account of the fact that actors are more likely to be able to be able to play on a working weekday. Peters adds that one of the nice things about the SGS is that “it doesn’t matter how successful you are, how many films you have on release, when you come here you’re just an actor who likes a round of golf. It’s a great leveller”. Of course the roster of past presidents, immortalised on an imposing mahogany honours board in the clubroom, tells a different story. Illustrious names such as Gerald du Maurier, Nigel Playfair, Charles Hawtrey, Laurence Olivier, John Mills and Richard Attenborough reflect the society’s distinguished history and its standing within the theatre world. It was founded in 1903 by the impresario George Edwardes, ostensibly to keep his actors out of the pub and fit for purpose. Members of his company were urged to “play like gentlemen, not actors”, which speaks volumes about the way actors were patronised by the powers that be. It was 1908 before membership was opened up to the whole theatrical profession. In its early years, the society was affiliated to Bushey Hall Golf Club in Hertfordshire, though bizarrely the clubhouse was situated in rooms above the Salisbury pub in St Martin’s Lane. 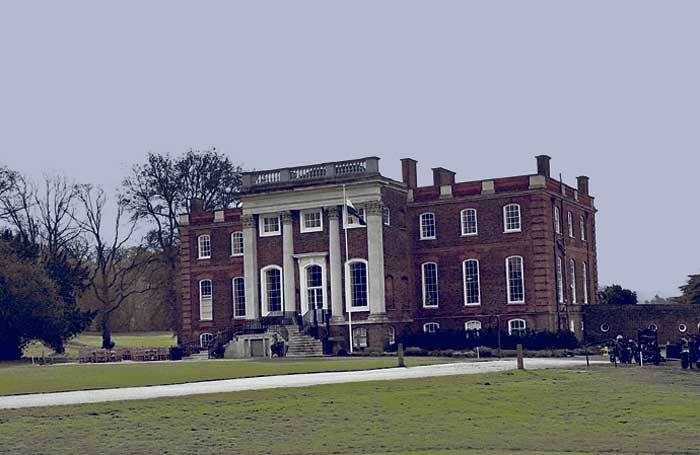 When it moved to Sudbrook Park in 1949, it remained at the Salisbury for another 20 years, before relocating its clubhouse to a games room at the magnificent grade I, 18th-century mansion that serves as Richmond Golf Club’s HQ. Not surprisingly, given its provenance, the SGS is widely known for its social events and entertainment. Until the early 1990s, these tended to be variety shows, with members performing turns, but a change occurred when the playwright Richard Harris wrote a spoof who-dunnit entitled Murder at Sudbrook Park, which went down so well it was repeated the following year. Since it started admitting creatives from the film industry, the society has also started to produce short films for the amusement of its members, as well as the wider public, as they tend to finish up on YouTube. Last year, to illustrate how some of their members had been seeking out alternative means of employment, they filmed a sketch in which Courtenay turned up as a pizza delivery man, and Dougray Scott took on the guise of a car windscreen washer, demanding money with menaces. In an age where you often feel that sport takes itself too seriously, it is nice to know there are still some places where a sense of humour is as important as the desire to win. If you’d like to read more stories from the history of entertainment, The Stage Archive  offers access to all back issues of the paper from 1880 to 2007 and is available from £15.